It has been a week since Microsoft Office 2013 preview was released to the public. The newest version Office sports an improved Metro-inspired, touch-friendly user interface and packs-in plenty of new features that help you create more professional looking documents. Ability to import and edit PDF files in Word, new analysis tools in Excel, the new Start page, comment tracking, cleaner navigation pane, the new touch mode, read mode and resume read options in Word, and weather reports in Outlook are some of the new features. The Office team has done some very useful improvements based on feedback from Office 2010 users. Users who have installed Office 2013 and experiencing issues while working on any Office 2013 program may need to repair the Office installation. 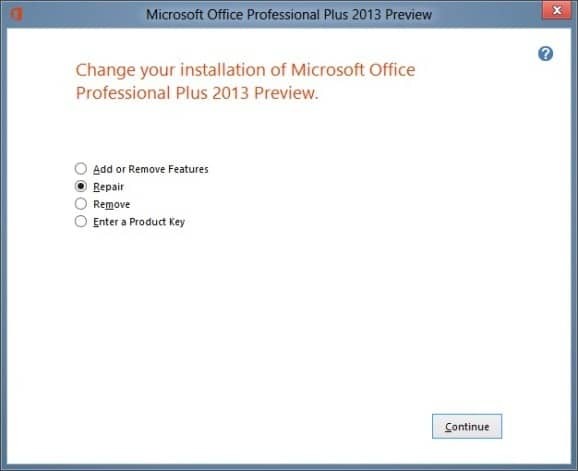 Follow the given below instructions to repair your Office 2013 installation. 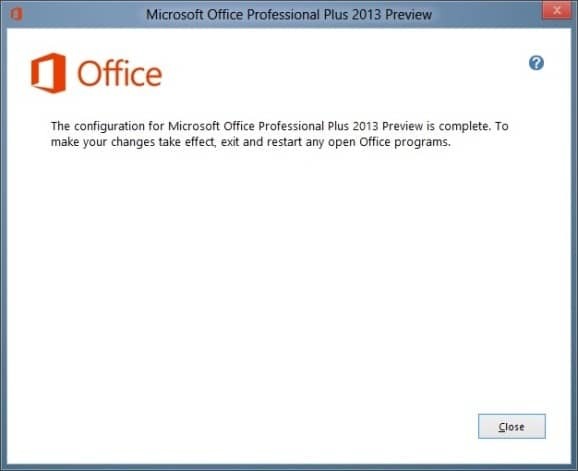 Step 1: Run your Office 2013 offline installer. If you have installed the Office using the web setup, then you need to download the offline installer as the web setup doesn’t support repair. Note that you can’t use 32-bit setup to repair 64-bit version and vise versa. Step 2: Click Yes for the User Account Control prompt. Step 3: When you see the Office setup, select Repair option and then click Continue button to begin repairing the Office installation. The repair process may take a while. Once done, reboot your computer. If you are experiencing issues even after performing a repair install, you may need to manually uninstall Office 2013 and then install again. Or, you can simply sign-in for Office Web Apps on SkyDrive to experience Office 2013 in your web browser without installing it. Note that not all features of desktop version are available in the web version. After completing about 75% repair stops and does not move forward.